A mediator came to me for a consult with the following situation while co-mediating a Harassment Prevention case in a local court. In their debrief, the co-mediators determined that in fact they had very different perspectives about whether they needed to end this mediation based on concerns for this party’s mental health, and they were stumped as to how to even begin to talk about it all. A. Under what circumstances might a mediator question whether a party is capable of participating in a mediation? 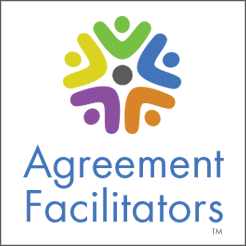 How do we determine a party’s capacity to utilize mediation? B. If necessary, how do we exit? What would we say to the parties (and to the court if in a court setting)? NOTE: This is a big topic. My intention here is to offer a place to begin, an invitation to further conversations, to stimulate and clarify our thinking, and deepen our practice. For me, any mediation related topic begins and ends with dignity and self-determination of the parties. I say this not to suggest oversimplification or constriction, but to confess upfront my north star on such issues. As a therapist trained mediator, it is particularly important to me to highlight dignity and party self-determination. I’m keenly watchful for the slippage that can occur when therapist mediators start down the road of assessment and diagnosis in the mediation context as this road is fraught (more on that in another piece!) The reality in practice of course requires us to tolerate and dance with some real complexities here: ideals of practice vs. practicalities of helping folks concretely. We are constantly faced with delicate nuances as well as substantial unknowns while moment to moment redefining what neutrality/impartiality (multi-partiality! ), confidentiality, voluntary and self-determination actually mean in practice. A. HOW DO WE DETERMINE A PARTY’S CAPACITY AT THE MEDIATION TABLE? part because this was the situation brought to me, and in part because I’m of the mind not to try to assess this prior to sitting down with folks. Intake is likely to screen out the exceptional and extreme cases, and I’m inclined towards the mediation table being a place for all, at least to start. Let’s take a closer look at “meaningful participation” so we can begin to frame what NOT meaningfully participating looks like. -The party understands the operating principles of the mediation. (The mediator may or may not get a sense of this initially, given how most introductions to mediation go). -The party is able to follow a line of thinking, can responsively answer questions with relevant answers. (There is a wide range of how any one mediator might judge “relevant”, and of course even more importantly a potentially more involved process for a mediator to help a party articulate their connections and sense of relevance). - The party is able to generate their own wishes relative to the situation. Consider these three categories as ways a party might not be “at capacity” to use mediation: THOUGHTS, EMOTIONS, RELATING SELF AND OTHER, and SUBSTANCE USE. a. cognitive capacity: ability to understand what is happening, what is being discussed; to be able to track a conversation; to be able to follow lines of thinking and the development of ideas, to be able to take in information and use it. b. emotional stability: ability to regulate one’s feelings enough to be able to use cognition and to engage with others effectively enough. c. Relational competence: is this person able to engage with the other party while still having their own voice? Is this person able to engage with the other party in a way that allows for the other to have their own voice? (power dimensions). d. Substance use/abuse: if someone’s awareness/judgment/consciousness is altered by a substance, he/she may not be able to think clearly enough or regulate feelings enough to participate. The above questions of meaningful participation of the party is one way we might look at this question. We might also think about this in terms of our capacity to help, to participate meaningfully as a mediator. If WE aren’t able to follow the line of thinking of a party, or if WE aren’t able to help a party manage their emotional state, we might assess that we, or this process, is not a good fit for them at this time. Co-mediators would take a break to review concerns, observations and possible strategies. Solo mediators might break to assess. Options for further assessment always include private sessions, or stopping for the day but not necessarily ending the mediation. If mediators conclude that a party seems unable to participate in a meaningful way, and/or that the mediators are not able to offer help to these folks at this time, then how to proceed? B. IF NECESSARY, HOW DO WE EXIT? What do we say to the parties? If mediating in a court setting, what would we report to the court? Here are a few thoughts and phrases that might be helpful in exiting a case in these circumstances. The tension is between explaining so that people aren’t confused or scared or upset, and over sharing in a way that characterizes one person unfavorably or gives ammunition to the other side. Once you’ve decided mediation is not the right fit for these folks at this time, here are some ways to talk about exiting. These are the sorts of “exits” I could imagine in such a case. Generally, since we don’t tell the court in other situations how the mediation went and why it might have broken down, we can start with this practice with these cases. The court is fully capable of determining capacity for their purposes (and does so all the time when a case hasn’t been first in mediation). The exception to saying nothing would be if you have concern for someone’s safety, in which case you would be asking what needs to happen to keep someone safe? In this case, you may have previewed the exception to the confidentiality and you are following your stated practice. If your concern for someone’s safety has not been previewed in your introduction, you’ll proceed by putting safety first. This is not a bright line, and will require your best thinking regarding the resolution of confidentiality and party self-determination and safety. It can be a challenge to withhold information that we think would be helpful to both the court and to the parties, but “helpful” can’t be the standard for breaking confidentiality or superseding party self-determination.